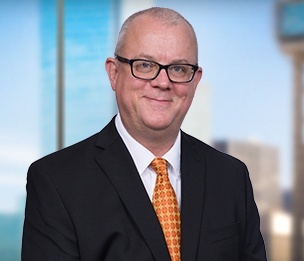 Prescott Smith is a senior counsel in Dykema's Dallas office. Having extensive experience in state and federal courts representing defendants at the pre-litigation, trial, and appellate levels, he brings a diverse and well-rounded civil practice to the firm. Prescott handles matters related to the oil and gas industry, intellectual property issues and trademark litigation, contractual disputes, business torts, director's and officer's liability, antitrust, administrative law practice, bankruptcy, and statutory drafting and related counseling for ballot initiatives and proposed bills. Additionally, Prescott has extensive high profile MDL experience, including his work as a member of the trial team representing Halliburton in the litigation arising out of the 2010 Deepwater Horizon oil spill in the Gulf of Mexico. He was involved at multiple levels in that litigation, ranging from initial analysis of documents and fact discovery, identification and development of expert witnesses and associated reports, the taking or defense of dozens of depositions, motion practice and briefing work before the MDL court and the Fifth Circuit, development of trial strategy, and the presentation of the Halliburton's source control expert during the Phase II trial in New Orleans. Additionally, Prescott contributed to the pre-trial and trial phases of a mass tort MDL proceeding involving an extensive safety recall for General Motors. Prescott is also experienced in legal issues relating to admiralty and maritime law, and is familiar with operational practices and the process safety implications of oil drilling operations.